If you needed to lose weight, what would be most motivating? You’ve put on some pounds. I’m not buying you any more clothes until you lose weight. I’ll let you make the salad. If you needed to learn how to swim, what would be most motivating? I don’t want to hear your crying. Get in the water and swim! Don’t be a baby! You can do this. If not today, we’ll try again tomorrow. If you needed to practice better hygiene, what would be most motivating? What is that awful smell? It’s a wonder you have any friends. Let’s go to the store and pick out some deodorant. Your hair smells so good when you wash it. I think you should wash it every day. If your table manners needed improvement, what would be most motivating? You eat like a pig. I cannot stand to watch you eat. I am trying to put down my fork after each bite; I’d like you to join me. Thank you for chewing with your mouth closed. If you were a bit clumsy and disorganized, what would motivate you to be more responsible? Can’t you do anything right? You are either losing things or making a mess! Everyone makes mistakes. That’s how we learn. It’s no big deal — just get a rag and clean it up. At times in my life I have been overweight, scared to swim, smelly, ill-mannered, and disorganized. During those times, I could have used some encouragement. So when I saw the young boy being told to get out of the pool because he was scared to swim, I cried with him from behind my sunglasses. I saw the disappointment in the man’s eyes as he looked at his shivering son hugging his knees to his chest. The man really wanted his boy to learn to swim. He thought reprimanding the boy and ignoring his cries would motivate him to try harder next time. About a little girl and her inability to ride a bike. With every sharply delivered word, with each disapproving glare, with every disappointed shake of my head, that girl got smaller. Less confident. Less capable. Less shiny. And one day, she spoke the words of a defeated soul. 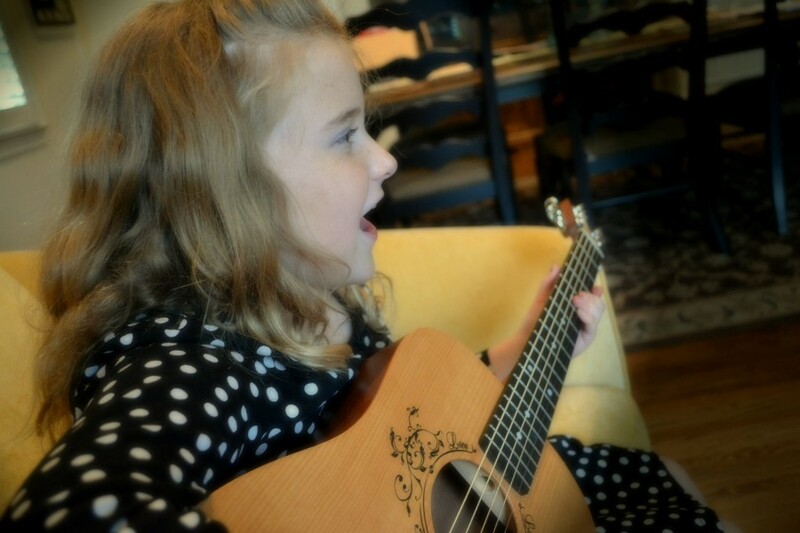 “I just want to be good, Mama,” cried the little girl who once loved to strum her beloved instrument. Now she was placing the instrument at her feet, wondering if she should even be strumming at all. Over time, my constant critiques and exasperated breaths had led her to believe she was no good. Over time, I’d broken her beautiful spirit — the one that gave her a unique and radiant light. There was a fine line between helpful adult guidance and using my authority to shame and belittle (under the guise of good intentions). 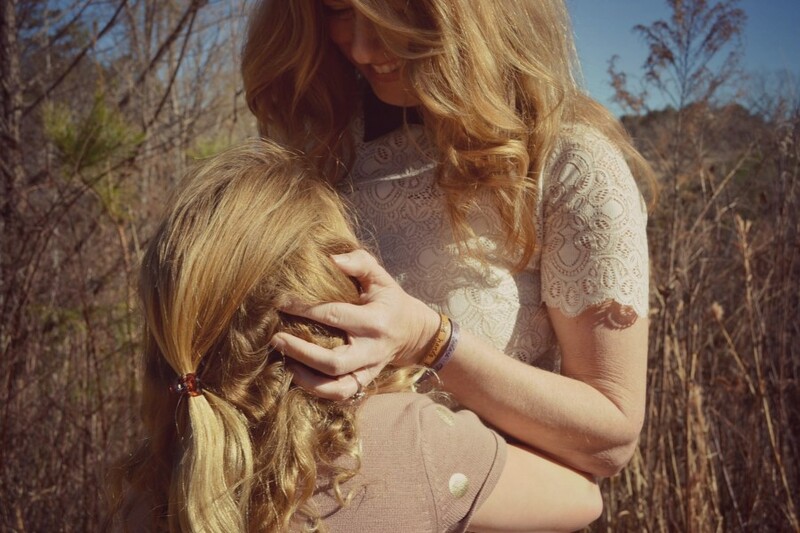 As I crossed that line again and again, my child experienced a harsh reality: No matter what she did, it would never be good enough for me; I could never be pleased. Rather than harping on every single thing my child did wrong, I saved my guidance for serious issues — issues that could be potentially dangerous or life-altering. Rather than forcing her to master a skill at the same rate as her peers, I assured myself that she would be ready in her own time. I stopped overreacting to kid mishaps and minor incidents and realized she was better at cleaning up after herself without someone breathing down her neck. If there was a bad habit that needed changing, I led by example. I invited her to join me in healthy habits. I provided tools (like timers and check-off lists) to empower her to become more prompt and responsible without my assistance. I celebrated her efforts, rather than their outcomes, and strived to speak three times as many positive words as I did negative ones. Under the wing of Loving Encourager for the past five years, my child has blossomed. Her confidence and self-assurance have grown. She takes risks, and when she fails, it’s not the end of the world — because she knows she can try again. She knows I will love her regardless of what she does or doesn’t do. She confides in me when she does something wrong. She loves herself “as is,” even though she does things a little differently than most. I wish I’d abandoned the role of demanding taskmaster sooner, but I will not dwell on yesterday. Today matters more. Yelling silences; communication opens up. Rejection loses; unconditional love wins. If you were a child trying to get through life the best way you knew how, what would be most motivating? I don’t think you’ll ever measure up. The specific steps and strategies I used to transform my distracted, perfectionistic, hurried life into one of meaningful connection and inner peace can be found in my book, HANDS FREE MAMA, a New York Times Bestseller. 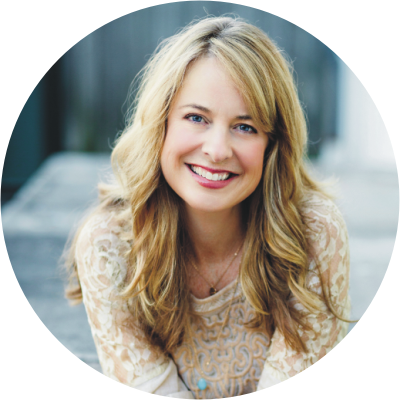 Rachel provides readers with simple, non-intimidating, and motivating methods to let go of distraction and connect with their loved ones. Rachel’s work has been featured on CNN, Good Morning America, Global News, USA Today, TIME.com, MSN.com, The Huffington Post, and Reader’s Digest. Rachel’s first book, HANDS FREE MAMA, is a New York Times Bestseller. Her second book, HANDS FREE LIFE, hits bookstores on September 8th, 2015. You can join Rachel on her journey to overcome distraction, live better, and love more at www.handsfreemama.com or The Hands Free Revolution on Facebook https://www.facebook.com/TheHandsFreeRevolution. Beautiful post thank you Rachel. Applicable to every day grown-up relationships as well. I really liked this post! It can be applied to teaching very easily – how a teacher motivates his/her students to keep trying can affect the children for the rest of their schooling (and even lives). If there is a climate in which mistakes are learning moments, students will not feel like failures when they don’t understand a concept. They will be encouraged to persevere and think about the idea until they get it! Learning from their peers will be welcomed, rather than cheating. This is an essential part of a positive learning environment! Great post! We always need to be a positive role model and raise our children with love. A great post about how to build esteem in a child. We always need to be a positive role model and raise our children with love and respect. Great post. Such important things to think about – and act on.